Why should i hire a private lawyer when public defenders are free? I’m innocent but afraid to go to trial. What should i do? You are right to be afraid of going to trial. You never know what a jury will do. i have seen dead bang losers end up not guilty because a jury goes off on some unexpected tangent, or maybe they just like your lawyer a lot more then the prosecutor. But the flip side is also true…you could lose a case you should win because of some irrelevant or crazy issue. So if the prosecutor offers a really good disposition you should be very careful before turning it down. Again, having a good lawyer who knows what he/she is doing is the most important consideration as to whether you should take your case to a jury. Is it better to hire a young, energetic lawyer or an older experienced lawyer? What a profound question. The best answer is to seek a happy medium. Defending a person charged with a crime is like going to war…the lawyer needs a fighting spirit. But I find that i am always learning new insights over the years…new ideas for cross-examination, knowing prosecutors and judges from having previous cases, etc. So assuming some youthful enthusiasm, i would always go with the experienced lawyer. Why do criminal lawyers usually charge flat fees instead of hourly rates? I have on occasion won a case because i had a special relationship with the prosecutor or judge, based upon a lengthy history of cultivating such relationships. It may have taken only an hour or two of my time to achieve victory, so if i charged by the hour the fee would have been negligible, although the result maybe saved my client’s life. The value of the relationship was enormous, but you can only go to the well so often. It’s the result that counts, not the amount of the fee. If I pay my lawyer extra money can i get a better result? 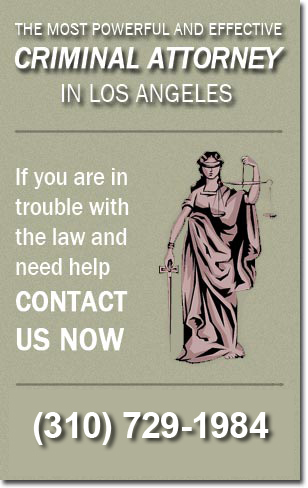 Years ago in Los Angeles County there were old-time lawyers who had very close relationships with old-time judges, and on occasions some of these judges would accept monetary or other favors from their lawyer friends and give the courthouse away. Those days are over. However, judges in L.A. run for office every so often, and have to raise money for their campaign. Just like in politics, money donors are going to have more influence then some random lawyer off the street. Justice may be blind, but it’s also greedy from time to time. But most of the time if a lawyer tells you he needs an extra fee to fix the case with the judge or prosecutor, do not walk, run, to the nearest exit. He’s a crook! Why does my lawyer get frustrated when I ask him what’s going to happen on my case? Every client i have ever known asks me at some point or another what is going to happen. Defending a person charged with a crime is an art, not a science. There is no certain outcome. With that said, i can sometimes state definitely that i will win the case, but i am very careful in making such statements, because sometimes there is evidence that i don’t know about, or the client doesn’t tell me everything, or we get a judge or prosecutor who is extremely difficult. And as the Indian medicine man said in the old Kevin Costner movie Dances with Wolves, “sometimes the magic works, and sometimes it doesn’t”.